Paint and renovate concept. Decorator painting wall, copy space. 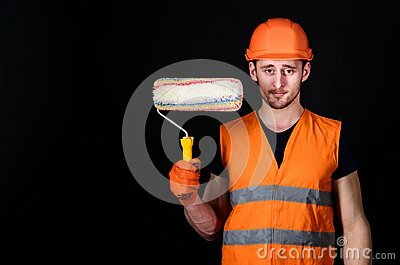 Man in helmet, hard hat holds paint roller, black background. Worker, painter, decorator, contractor, builder on serious face.